great location, close to everything you need and only a 10 min tram ride away from mitte. i stayed in a private room and it was perfect - bed, desk, and some drawers for clothes. separate shower/toilet as to be expected, always clean. very friendly and helpful staff, couldnt have ask for a better stay. only negative is that the floorboards are very squeaky - can hear everyones footsteps, however it didnt keep me from sleeping and i am a very light sleeper. would definitely recommend/stay again ! Very good hostel. Clean, nice. Only problem was creaking floorboards. Perfect location. Ostello straordinario, camere spaziose (la nostra era una doppia) e praticamente da hotel, eccetto per il bagno, che non è in camera ma è estremamente pulito. Ottimo wi-fi, lenzuola pulite e letti gia fatti all'arrivo (come in un hotel). Posizione perfetta, con diversi ristoranti (con prezzi onesti) nelle immediate vicinanze. Alexander platz dista tre fermate di metropolitana. Unica pecca, in camera manca una cassetta di sicurezza. I enjoyed my stay at Old Town Hostel. The facilities were clean and the staff friendly. 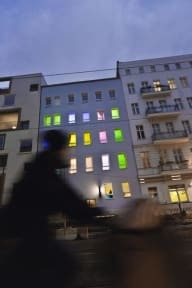 It is close to Mauerpark and at a friendly area. Very clean and safe. Good location as close to underground station and supermarket. Definitely would go to again. Nice area, the Old Town is a really cool place to stay in Berlin. Loads of places to eat and drink in evening and easy transport links to centre of Berlin. The hostel was really chill, we arrived quite late but this wasnt a problem and we used the luggage room the day after. Room was really clean and there were lots of bathrooms. Booked a one person room for one night. Absolutely good. 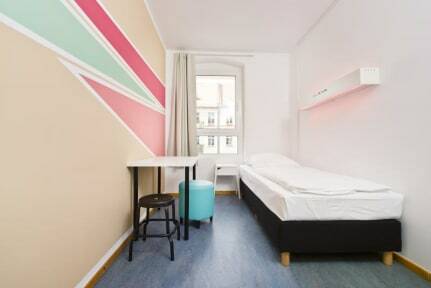 Hostel is very very clean, location is good, if you like Prenzlauer Berg. Its not a party hostel, so dont come here for that type of atmosphere. But its clean, staff is nice and helpful (the guy ordered an airport taxi for me for the morning after, out of own initiative!) and Prenzlberg is a beautiful and laidback area. Extremely anti-social hostel. More like a low-budget hotel. Fine for couples/families/friends but terrible for solo travellers. I was here for a week in a single room and met no-one. The hostel makes no effort whatsoever to encourage any kind of socialising - there were times where I felt like I was the only person in the building. This put a dampener on my whole stay. Sure it's super clean but I would happily take a slightly mouldy shower in exchange for someone to talk to in the evenings!